Texas drivers can turn to Bayshore Chrysler Jeep Dodge for straightforward pricing that is the best in the Houston, TX, area. Whether you are looking to buy or lease a vehicle, we have a wide selection of cars, trucks, vans and SUVs in our inventory, and our finance experts are here to help you explore your lease and loan options. We even offer an online payment estimator tool, so you can get an idea of what your monthly payments could potentially look like. Come by our Chrysler, Jeep and Dodge dealership near Houston, TX, for the car-buying experience that you deserve. We’re here to serve you! Who Has the Best Car Prices in Houston? At Bayshore Chrysler Jeep Dodge we believe in offering Greater Houston motorists many options. From sleek sedans like the Chrysler 200 and 300 to more rugged vehicles like Ram 1500 trucks, we have what you are looking for, all at prices that make driving your next dream vehicle well within reach. If you are looking for a new-to-you vehicle on a budget, we have a great selection of high-quality used cars for sale under $15,000. Our Certified Pre-Owned inventory makes getting behind the wheel of a like-new pre-owned model more attainable than ever. Conquer your daily drives in a CPO Jeep Wrangler, or get ready for life in the fast lane from the driver’s seat of a CPO Dodge Challenger, all without breaking the bank. Whichever model you choose, our finance team is here to work with you throughout the entire process. Take advantage of our great prices and down-to-earth approach to sales. We simply want to match you with the right vehicle at the perfect price. 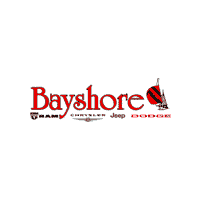 Head over to Bayshore Chrysler Jeep Dodge for customer service and pricing that will keep you smiling for miles.